iancanton wrote: pi-school is [approved] for MapStarter, so welcome to the drafting room! ur general contribution medal is on the way. players can pledge a quantity of conquer credits of their choosing by posting in the map thread. 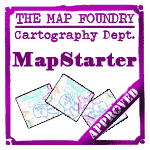 after a map has 1,000 credits committed, it qualifies for MapStarter matching funds, to be paid out upon quenching. Why do we have to pay for the development of a site that we pay for? Oh do the map makers get the credits? That's different, sorry. I only have 11 credits but you can have em however that is done. Always like to see new maps. Part of the Kickstarter info page sent to me was asking people to donate 1,000 credits. This is part of the process. The reason could be to show the map and maybe get helpful feedback on its features. I assure you I'm not penniless just trying to follow instructions. HitRed wrote: Part of the Kickstarter info page sent to me was asking people to donate 1,000 credits. This is part of the process. The reason could be to show the map and maybe get helpful feedback on its features. I assure you I'm not penniless just trying to follow instructions. I know all about pies if you need some help. I will cover the 185 balance. Good work and effort, HitRed. I need constructive feedback on Pi-School. In particular the concept, art (beta), mechanics and gameplay. Envisioning various settings is important. Please post your thoughts using the link below. 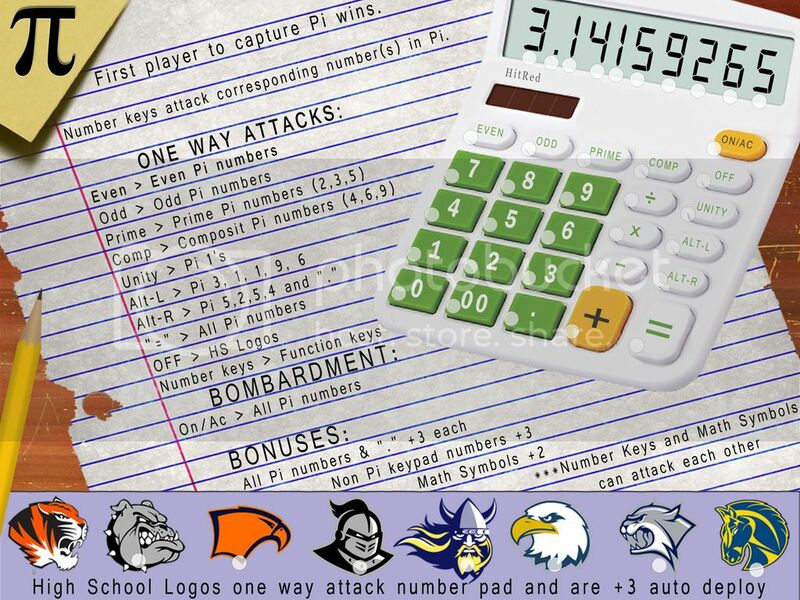 Please note: Pi-School is intentionally different from other maps . This is a conquest style map heavy on one way assaults and using random timed decay to open up new ways to capture Pi. A thinking players map. I read the instructions it sounds like it will be initially interesting due to it's complexity... though that same complexity may also get tiresome after the novelty wears off. We really need to have it released as beta to determine this. I encourage an early beta release. Don't let this sit in committee or inner-circle 'gamma' testing for long. It's the politics, elitism, bureaucracy & endless delays that killed the foundry in the first place. Furthermore, a lot of the attack loops are rather short. With some settings this could be rather fast map. The round-timed button delay will be a true novelty for CC, perhaps this maps greatest distinction. But again, some settings might not allow play to progress long enough for these to take effect. My prediction is that this won't be a map with wide appeal, but that's fine. let it develop it's own cult following among the eggheads. Something for everybody, I say. Last edited by Thorthoth on Sat Jul 29, 2017 6:39 am, edited 1 time in total. I think delay was suppose to be delay. Not sure if you could edit that. The more I study it the more fun it looks. Go Wildcats! pi-school has [qualified] for MapStarter matching funds, having had 1,070 credits committed by supporters! the matching funds will be paid out to the mapmakers upon quenching. I wanna play the beta version asap. we're still on the first image and haven't yet had any further updates, so there's some way to go. Did HitRed die or something? I am in need of a map artist for Pi-School. The current artist has real life issues he must attend too. If you have an interest, and hopefully a CC map making background, please contact me. Very complicated map. but small. Could be fun! We added troop circles to the original map. Can you be specific on the next step or two needed on the map? from ur comment, u have actually updated the map. if so, then it will be very helpful if, at the time of each update, the latest version is displayed in a new post which describes what has actually changed and given a version number so that we can refer to it in future, for example "i liked the colours in v1.2 before u changed them in v1.3". the first post ideally shows the latest version, together with earlier versions hidden using spoiler tags, so that we can easily view development progression. Last edited by HitRed on Tue Sep 12, 2017 7:22 pm, edited 5 times in total. Hit, are you still looking for help w/ gfx? I can help and shouldn't be too painstaking. I like the current set up but would probably like to shoot it practical. Meaning, where it looks real and setting everything up on a table then photoshopping it after the image capture. Can't imagine it would take more than a night or two. Do we have a map here that looks real yet? Are you happy with the way the legend reads? Let me know if you're still looking for help.